Yes, it's true. Steve Litchfield is now reviewing vacuum cleaners! Well, not generally. 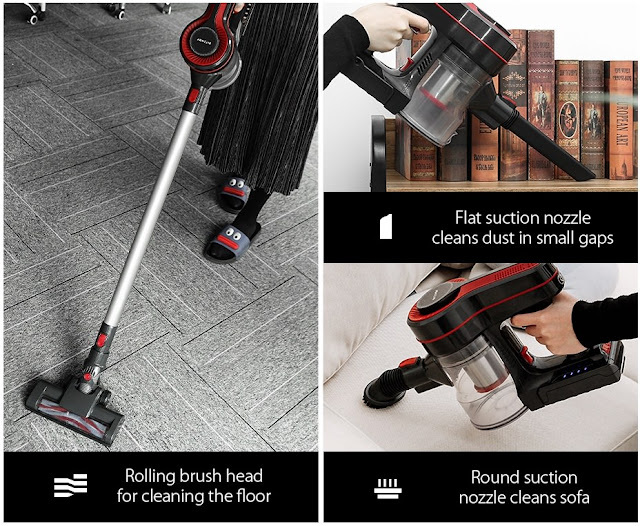 But this is something special - a tech/gadget company has branched out to create a flexible rechargeable handheld vacuum. And, spoiler alert, it works extremely well, with just a few caveats along the way. First up, the price - currently £68 plus a fiver shipping to the EU. I do like to play the price guessing game when kit comes in for review, i.e. I guess the price before looking it up and then see how far 'off' I was. 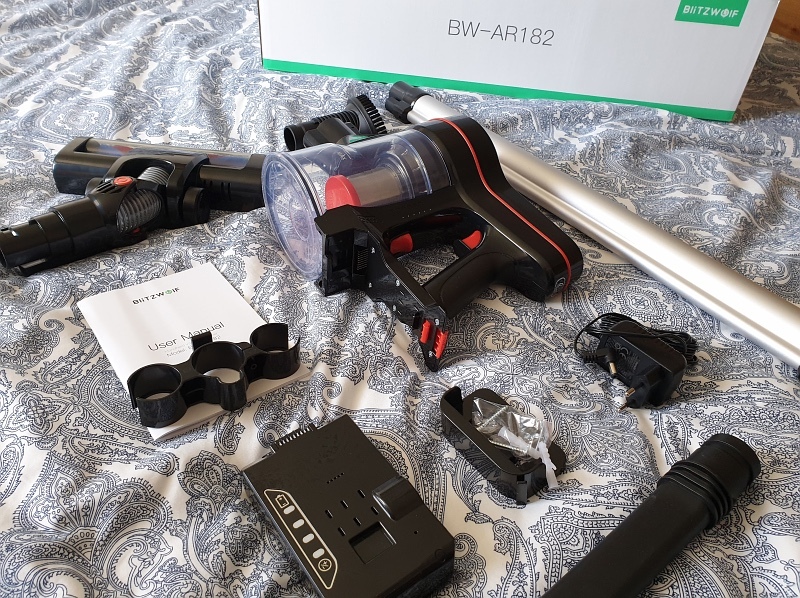 In the case of the Blitzwolf BW-AR182 I guessed £90 and the actual price shows the value for money. Arriving partially disassembled to get it all in the box, the AR182 is a doddle to snap together. Essentially you either use it with or without the aluminium tube extension, depending on whether you're working at floor level or not. Either way, you get to choose between a powered rotating-brush cleaner head, a simple brushed upholstery tool or a crevice tool. Most of the gadget is heavy duty plastic, but the extension has to be metal in order to be strong enough to withstand pressure in every day use and to carry power down from the handheld unit to the brush section - you can see little metal contacts if you look within the plastic connectors. The motor and collection unit is well balanced and is used 'gun style', with a trigger to turn it all on - and off - again. ducts and a grille on the top show the air entry and exit points - the former is in addition to the main suction point, of course, but you have to have some bypass for when the vacuum point is temporarily blocked, I guess, otherwise the motor would burn out! 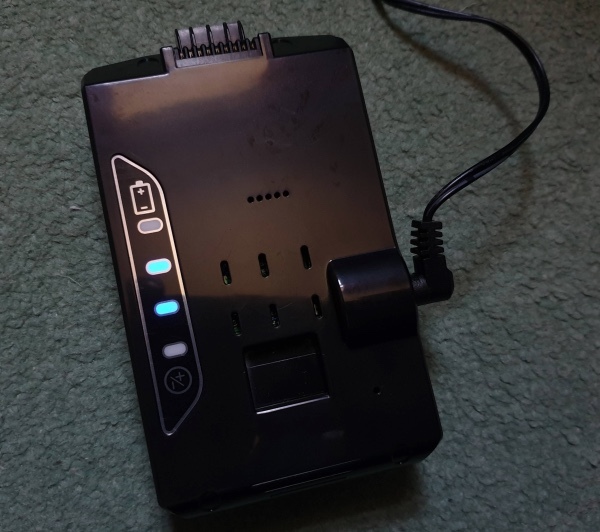 The battery clips in the bottom of the main unit and has LEDs to indicate charge, placed so that you can see these at a glance, as shown above. All very well designed. The main floor brush unit is interesting because of the powered rotating brushes and is amazingly effective at dislodging dust and hairs, which then get sucked up. Running power down to this, rather than some kludge of a mechanical drive is a nice modern touch. 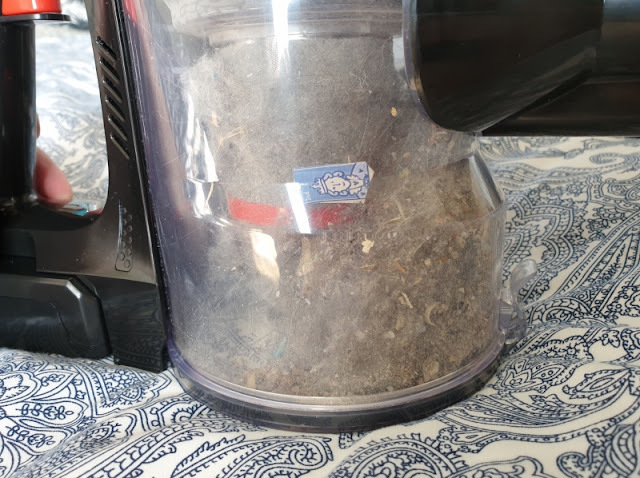 Which tells us that either a) I'd been lax in previous cleaning or b) this Blitzwolf cleaner was getting dust up more efficiently than my old mains-powered cleaner. A bit of both, but I was enormously impressed by how the swivel head system for the brush unit allowed me to get into odd corners and how the rotating brushes picked up dirt ahead of the vacuum itself. Into a bin, of course! 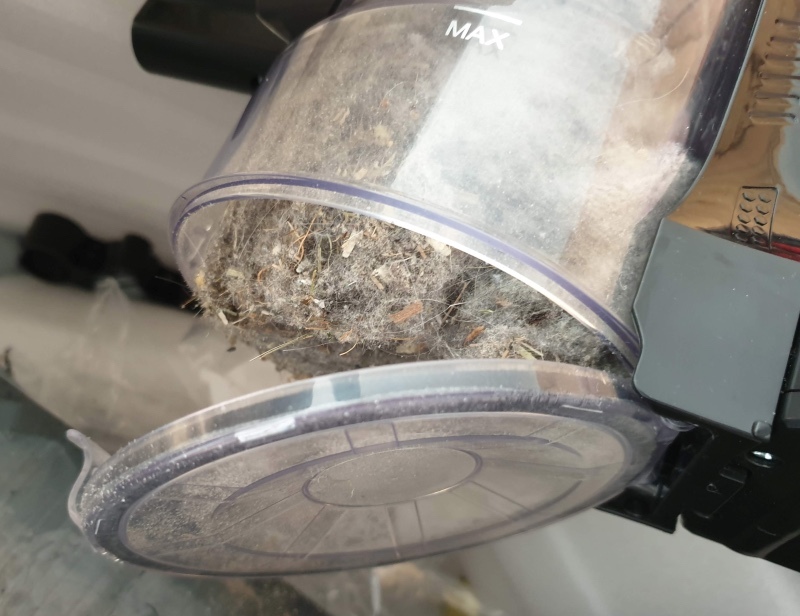 I did find that fluff collects quickly around the internal metal cylindrical filter and in addition to letting the main contents fall, I had to poke the fluff off with a pencil or (shudder) finger. Not a huge inconvenience, but worth noting. 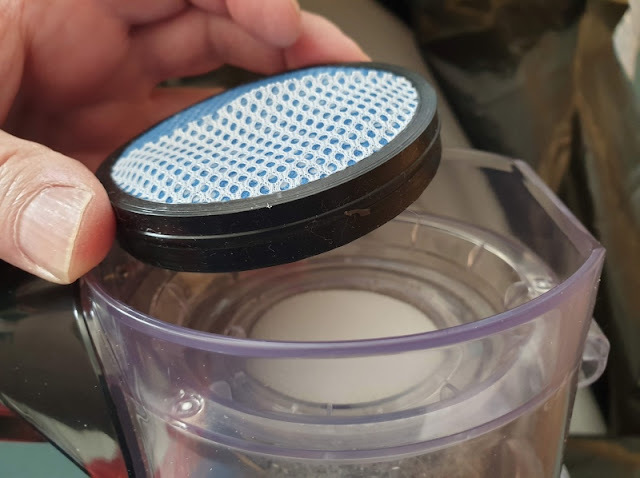 There's also a HEMA air filter, shown above, which is accessed by detaching the whole dust cap and which you're supposed to wash and dry every once in a while. All very accessible. The specifications quote 35 minutes working time at 'low speed', the default, and 20 minutes at 'high speed' - there's a toggle button on the back of the main unit. Vacuuming my house took about 15 minutes of actual powered work at 'low speed', so I believe the quoted figures. Recharging the 2200mAh (at 22V!) 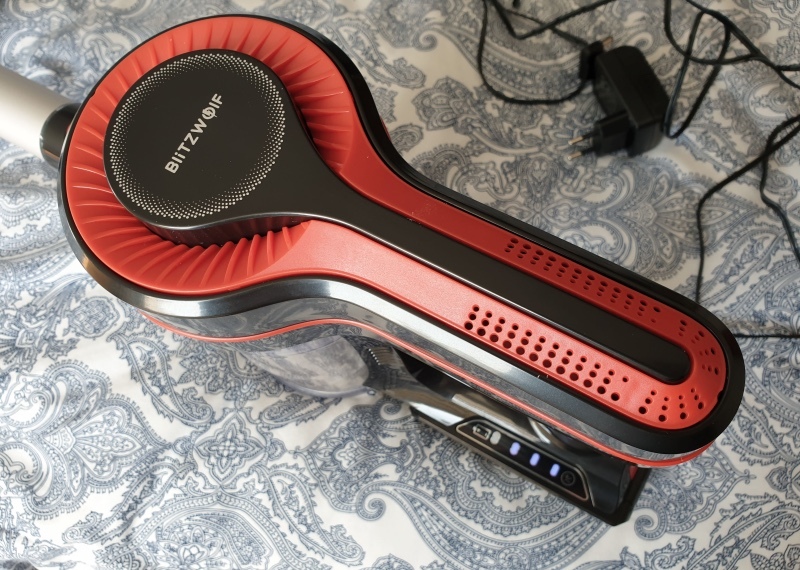 battery is quoted at 5 hours from the 26V/500mA charger, but it's irrelevant, since vacuuming is something that you'll surely only do a few times a week at most? As to why not use 'high speed' all the time, it's about noise, as well as the power drain. The Blitzwolf BW-AR182 is surprisingly quite, just a moderate whir by default, and you can hold a conversation easily over it. Which is a pleasant change for a vacuum. Working at 'high speed', the volume and pitch of the motor rise significantly and you have to shout! In normal use, I'd expect most things to use 'low speed' and then you just kick in the extra power if you need it for something heavily soiled. Aside from the caveat of having to empty the AR182 after any serious session, there's also the very flimsy rack, designed to clip onto the extension in order to hold the crevice and upholstery tools. This snapped clean off on the very first use, so best avoid this - just keep the unit and all its bits and pieces in the original box (minus the plastic and polystyrene packaging), I suggest. The mains plug is also European, meaning that I had to find my own Euro-to-UK converter. Just points worth noting. It's worth browsing the original product page here to see a number of other promo photos, to show all the ways the vacuum can be used. This may sound a little effusive, but my house has never been as clean, since I was able to get into high corners and awkward spots that I simply avoid with my big mains-powered cleaner because 'it's too difficult'. 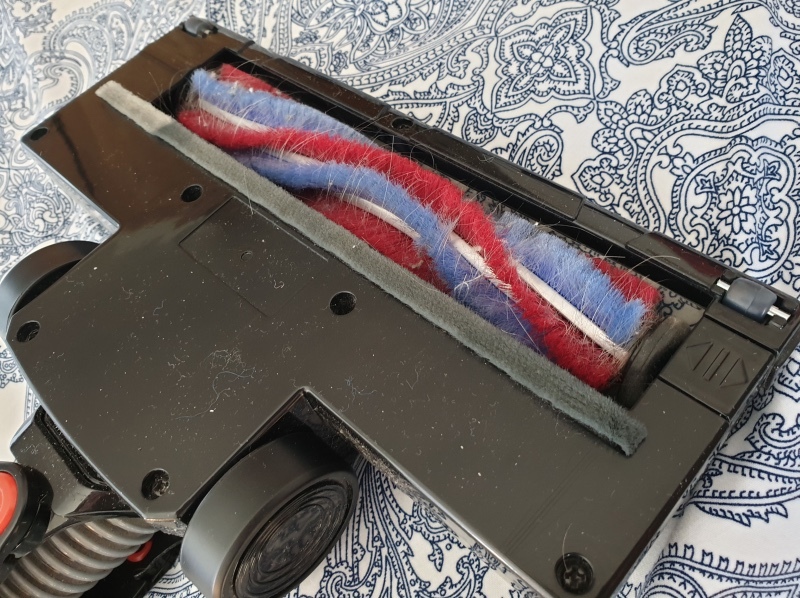 True, you probably wouldn't want to clean large rooms every week with this, since the floor head is smaller than for a typical mains cleaner, but the AR182 is downright perfect for flats, for anything tricky, for cars and caravans and summer houses. And it's freeingly fun to use, with no power cords always retracting and getting in the way! Highly recommended. It's a geek's vacuum cleaner and I love it to bits. Matching slippers are great idea #merch ? 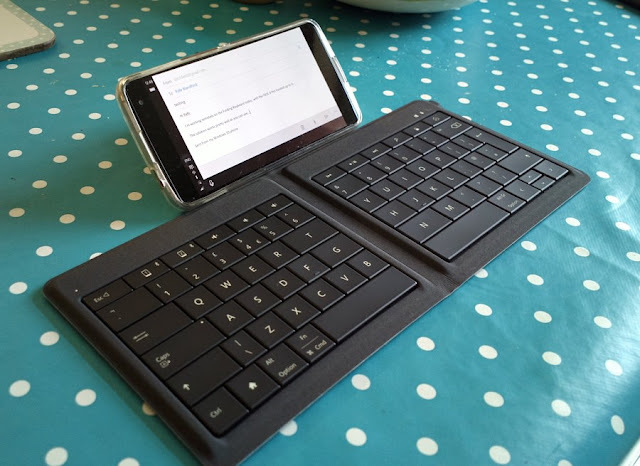 Just in case this helps anyone else, I had a nightmare today with my Bluetooth keyboard and my Android phone - but I used some common sense and found a geeky solution. In my case it was a ZTE Axon 7 running Lineage OS and a Microsoft Universal Folding Keyboard (UFK), but I suspect this cure will work for more general issues. The symptom was that when I tried to connect a previously paired keyboard I first of all got just the raw Bluetooth address shown and not the keyboard name. And then, when I tried connecting, I got an "incorrect PIN or password" error message. No chance to reenter a PIN and no amount of restarting keyboard or phone would fix it. The cure seemed to be to reset something in the phone's Bluetooth system, but what? The keyboard wasn't showing up as paired, so I couldn't 'forget' it. I tracked it down in the end. The story so far... Google decided to follow Apple in getting rid of the 3.5mm headphone jack, for the Pixel 2 range in late 2017. Perhaps just to play copy-cat, perhaps to genuinely make waterproofing more complete, perhaps to be more 'futuristic'? Who knows. Some other manufacturers then followed suit, and while the trend to get rid of the humble and useful 3.5mm jack hasn't yet become mainstream, it's certainly a 'thing' to be aware of and to try to work around. Why work around? 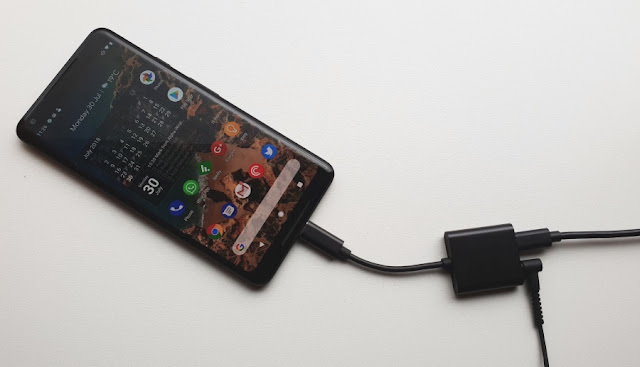 Surely you can just use a USB Type C to 3.5mm adapter, and there's usually one in the box? For listening to music, absolutely, and these usually (HTC excepted) work well. But there's a catch. You can't charge your phone and listen to music on wired headphones at the same time. Ruling out listening while going to sleep, for example. Here's something that's been driving me crazy over the last week. My Renault Scenic (diesel) has developed an odd and annoying noise. It's directly related to engine speed (i.e. dies away as I move the transmission to neutral and let the revs drop. I've videoed the problem/noise below, in the hope someone can suggest what the problem might be. You're listening for a highish pitched whistling/rubbing noise. Renault Scenic belt system noise for troubleshooting from Steve Litchfield on Vimeo. I thought it might be the belt itself, but the addition of a little talc didn't help. Anyone ever seen/heard this before? Possibly a dry bearing somewhere, but where do I start looking? Alternator? Water pump? The car only had a new cam belt fitted a year or so ago, complete with new tensioners. Many thanks if you can rack your brains for some pointers here! Smartphone enthusiast and text/video blogger. Writes for AllAboutSymbian, AllAboutWindowsPhone and AndroidBeat. Maintains the 3-Lib reference site and produces and appears in The Phones Show. A car is a platform. Not an iPhone!